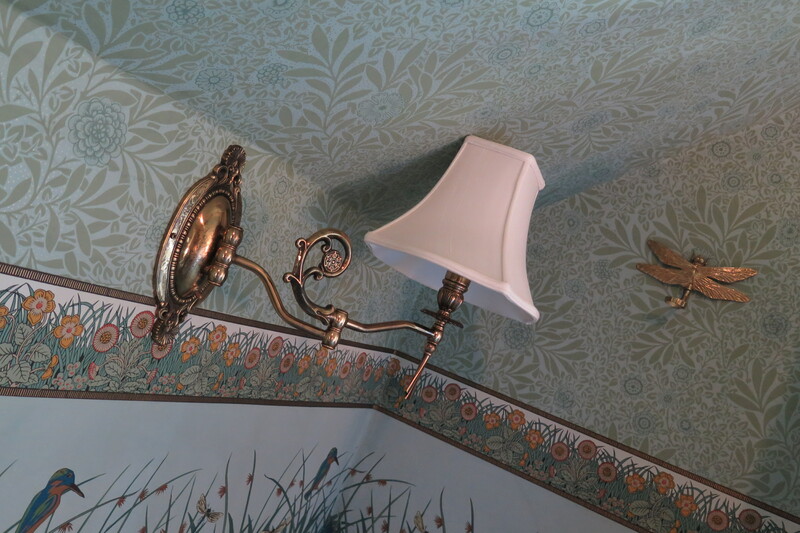 Light spills through leaded-glass windows and plays upon the Victorian wallpaper with hummingbirds and dragonflies. 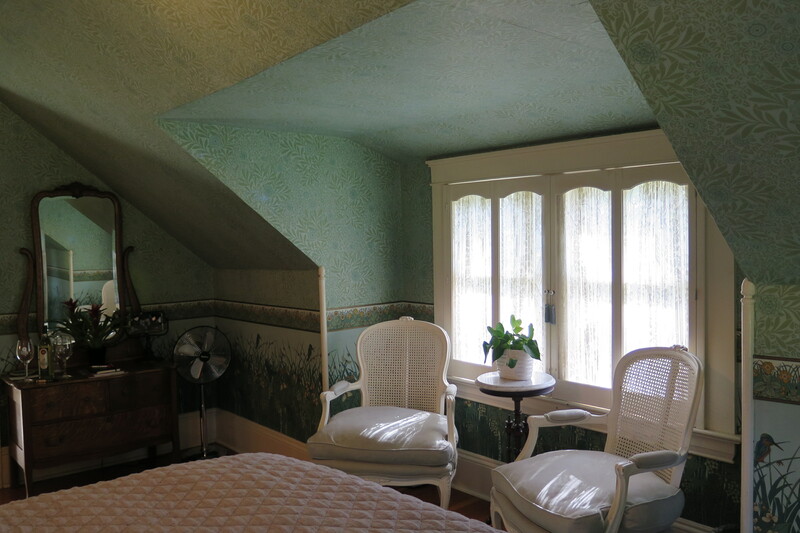 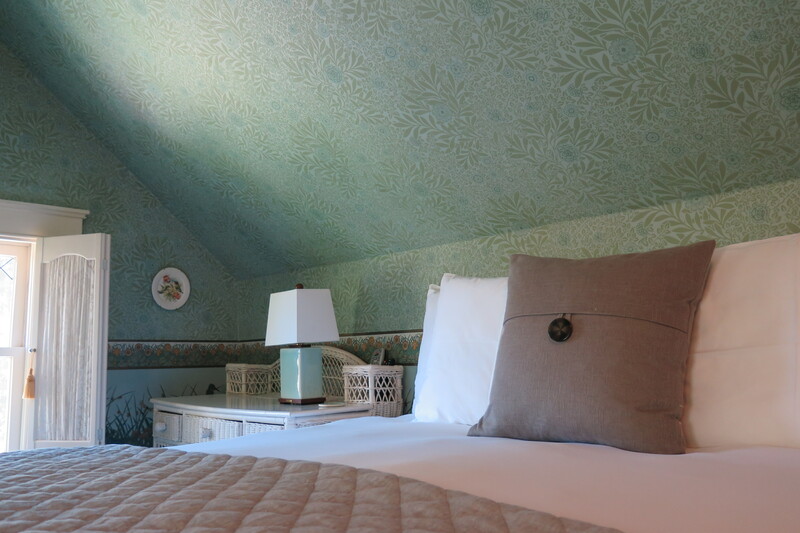 This light and air upstairs corner room overlooks the west garden and is beautifully decorated with an antique dresser, overstuffed chair and desk. 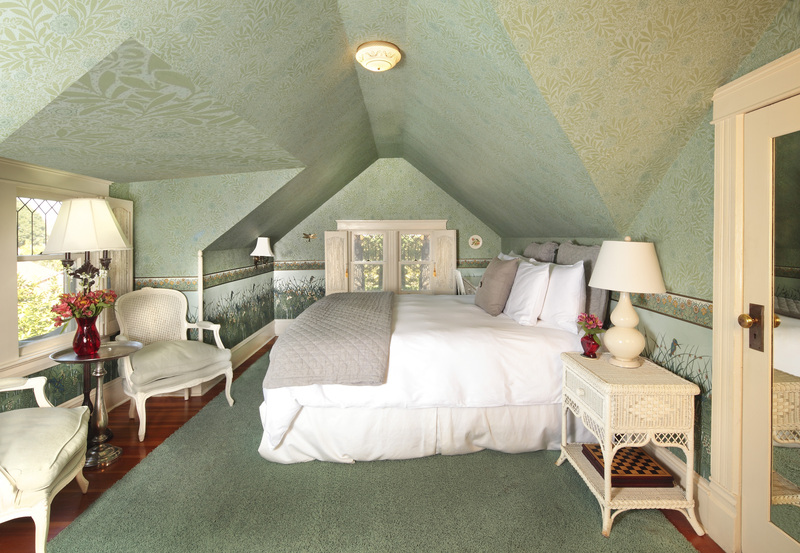 Relax on the expansive California King Bed, while reminiscing about the events of your day. 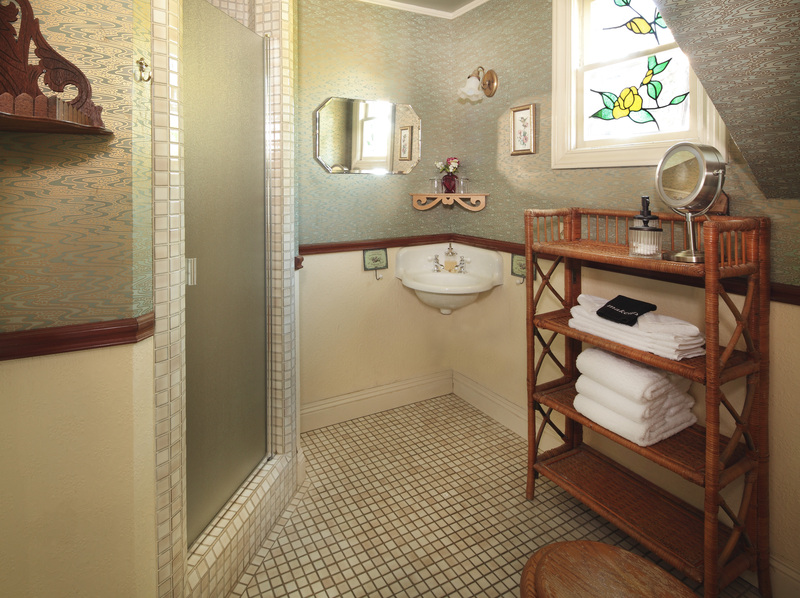 The bathroom with tiled shower has an antique pedestal sink and leaded glass window.